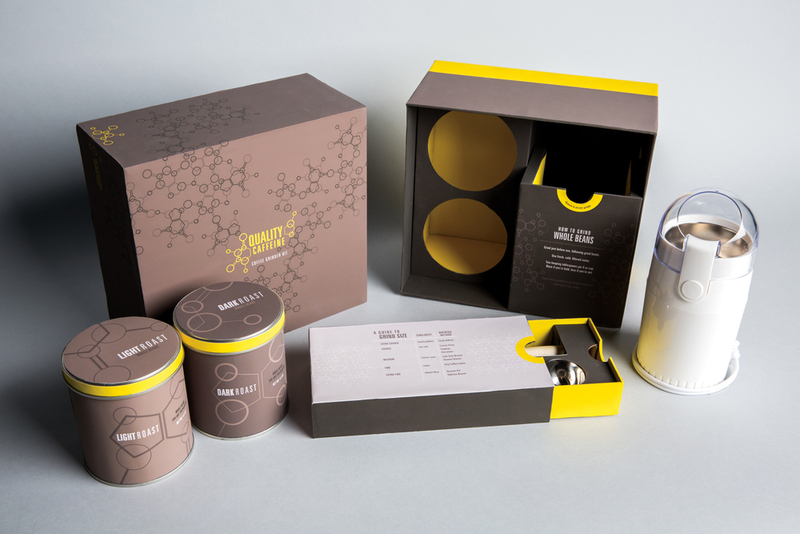 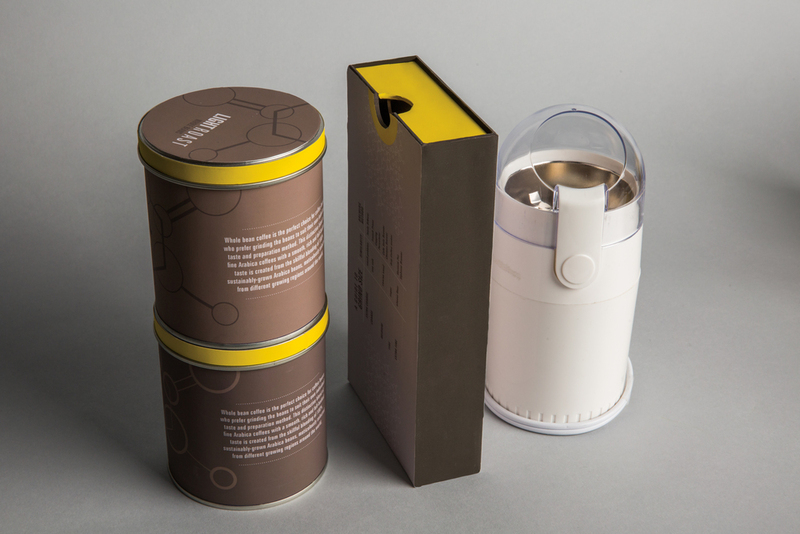 The goal of this project was to engineer and create high-end retail packaging that could house multiple objects. 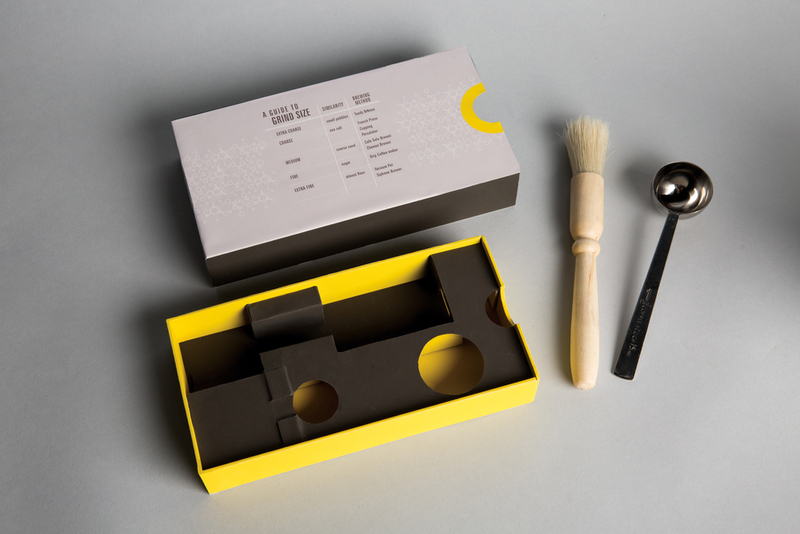 This kit, called Quality Caffeine, is for the coffee bean grinding novice and contains a coffee grinder, two cans of beans, measuring teaspoon, and cleaning brush. 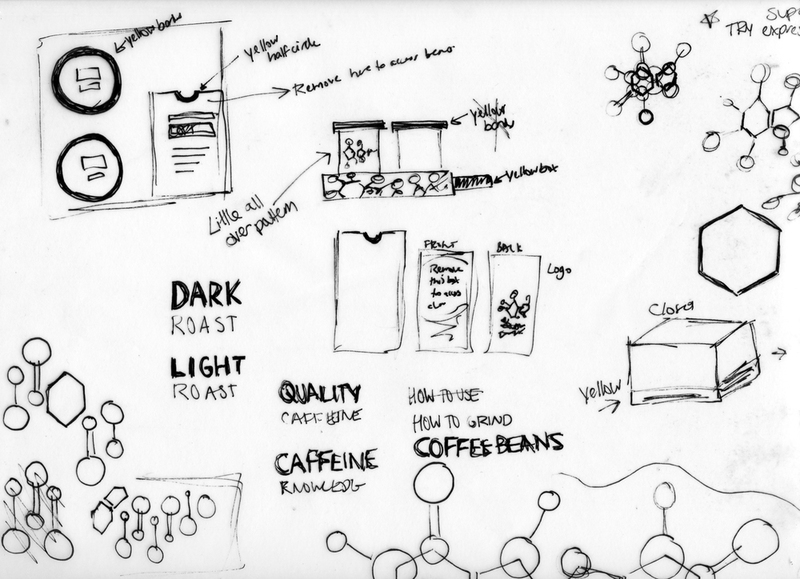 Based around the concept that, contrary to popular assumption, light roast beans actually has more caffeine than dark roast beans, I created expressive forms of caffeine molecules to use as a pattern throughout the system.